German Chancellor Angela Merkel and French President Emmanuel Macron arrive for a press conference following a visit at the Humboldt Forum construction site in Berlin, Germany, 19 April 2018. 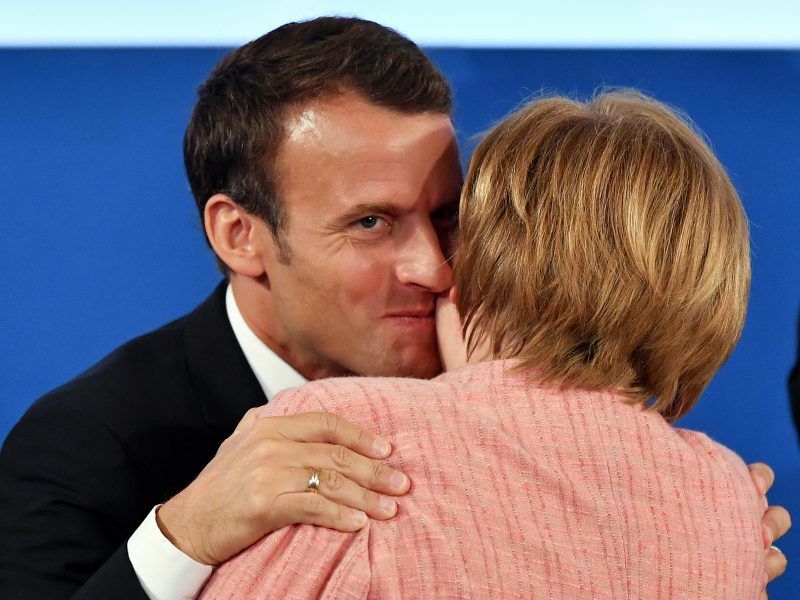 French President Emmanuel Macron heads to Germany tomorrow (19 June) seeking progress with Chancellor Angela Merkel on elusive eurozone reforms, but the deepening EU rifts over migration threaten to dominate an already daunting agenda. The Franco-German ministerial meeting, being held at the Meseberg castle north of Berlin, is seen as key for forging a consensus ahead of a crunch EU summit on 28-29 June. 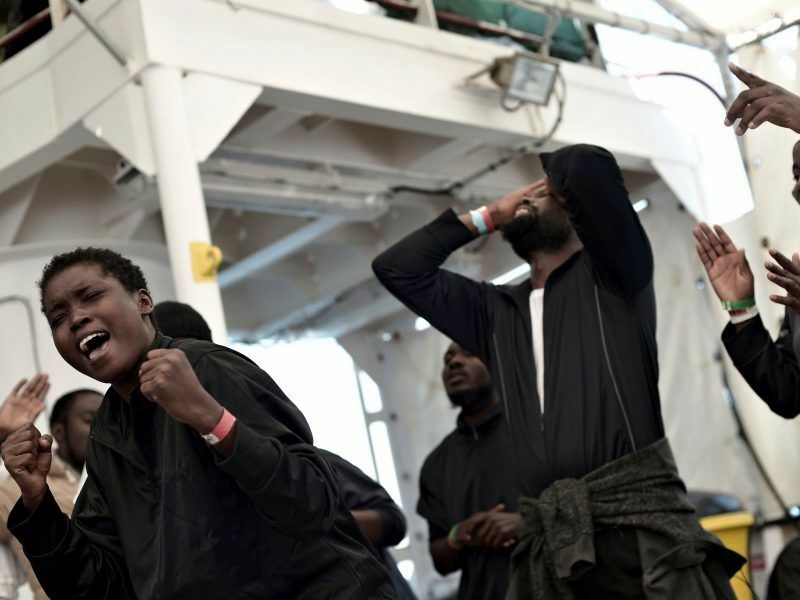 But Italy’s refusal last week to allow a ship carrying 630 rescued migrants to dock on its shores has shattered the bloc’s fragile status quo on dealing with the wave of people fleeing war and misery in Syria, Iraq and elsewhere since 2015. 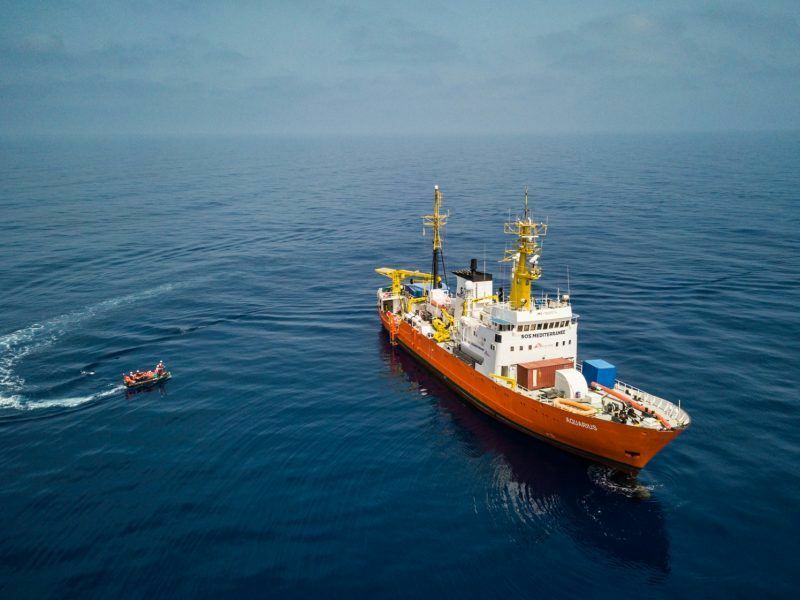 The head of the Red Cross urged European Union member states yesterday (17 June) to follow Spain’s example of welcoming a rejected migrant ship and “put into practice” the humanitarian values promoted by the bloc. Merkel herself is facing a showdown with her own hardline interior minister after his call for turning back undocumented migrants at German borders and speeding up ejections of rejected asylum seekers. 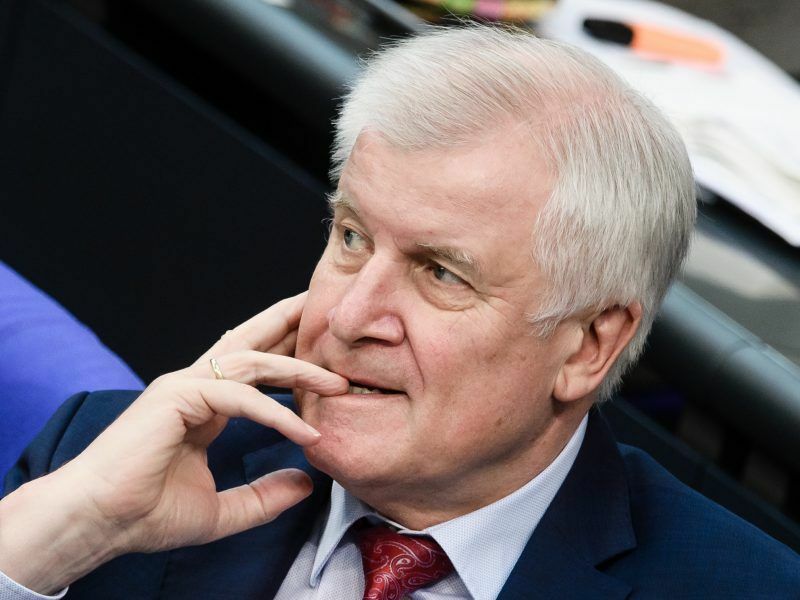 German Chancellor Angela Merkel’s Bavarian allies, the Christian Social Union (CSU), will decide today (18 June) whether to defy her by implementing a plan to limit immigration at the German border and risk destabilising her three-month-old coalition. Most Germans support the moves according to opinion polls, while critics say Merkel’s liberal migrant policies have bolstered far-right and populist parties at home and abroad. EU deals with Turkey and Italy have sharply reduced the number of new arrivals, yet hundreds of people still attempt to cross the Mediterranean from Libya each day. Merkel and Macron both agree on the need for a Europe-wide response, and are hoping to hammer out a policy acceptable to all member states that would ease the burden on Italy, Greece and other main entry points. An EU diplomatic source told AFP that European Commission President Jean-Claude Juncker will also attend the talks Tuesday to help prepare for the EU summit at the end of June. Yet the tensions that flared across Europe last week after Italy’s move to block the Aquarius rescue ship have pushed any potential deal further from reach. The refusal of Italy and Malta to take in the rescue ship Aquarius packed with migrants this week has shone a light on the flaws of European solidarity and underlined the urgent need to reform the Dublin asylum system. EURACTIV.fr reports. Paris no longer harbours any illusion of securing a revamp of the so-called Dublin rules before the end-of-June deadline set by EU leaders last December. The rules require migrants to apply for asylum in the first country they enter — a policy France has used to defend its own efforts to keep people from trying to cross over from Italy. But Paris is hoping to get Berlin’s agreement on increased funding for the EU’s Frontex border force, harmonised asylum rules and the creation of asylum processing centres in Africa. “We’re hoping to obtain a maximum of agreements on Tuesday, and in late June,” a source in the French presidency told AFP. That hope, however, is running up against an “axis of the willing” to combat immigration announced last week by Italy’s new far-right interior minister and his German and Austrian counterparts. And countries such as Hungary and Poland have either refused outright or resisted taking in refugees under an EU quota system that has essentially floundered. Despite the migrant policy headache, Macron and Merkel might find more common ground on deeper EU economic integration. Macron, a centrist who swept to power last year, pledged to reconcile Europeans with the Union after years of austerity and growing disillusionment with the bloc’s institutions. Merkel has cautiously come around in recent weeks, but she may not have much political room to manoeuvre further. Rightwingers in her delicate governing coalition — as well as several northern European countries — remain hostile to France’s push for a common eurozone budget, fearing taxpayers could foot the bill for fiscal irresponsibility in southern EU states. 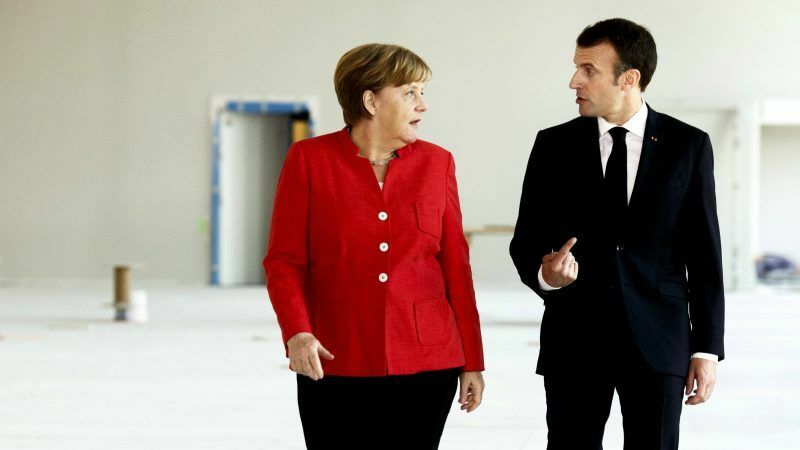 Merkel made some concessions earlier this month, agreeing to support Macron’s call for an investment fund to help poorer European countries catch up in the areas of science, technology and innovation. The size of the fund remains unclear, however, with Germany resisting the hundreds of billions of euros sought by France. 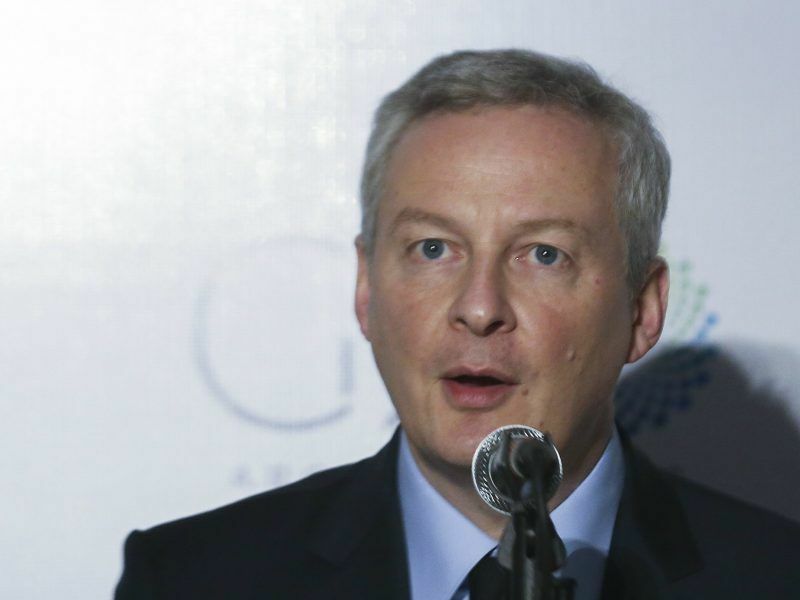 Nonetheless, French Finance Minister Bruno Le Maire, who will attend Tuesday’s meeting along with the two countries’ defence and foreign ministers, tweeted late Saturday that “an agreement is close at hand”. France and Germany may also strike a deal aimed at harmonising corporate taxes across the bloc, to stop multinationals from taking advantage of low-tax regimes in countries like the Netherlands, Ireland or Luxembourg. Merkel said the common tax system would also help both countries shore up their competitiveness in the face of a potential trade war unleashed by US President Donald Trump. Trump’s threat to reduce US funding for NATO unless European members step up their contributions could also lead to new measures for strengthening EU defence cooperation. Merkel has said she is “favourable” to a French call to create a European Intervention Initiative of forces which could be deployed rapidly to deal with crises outside the framework of NATO. 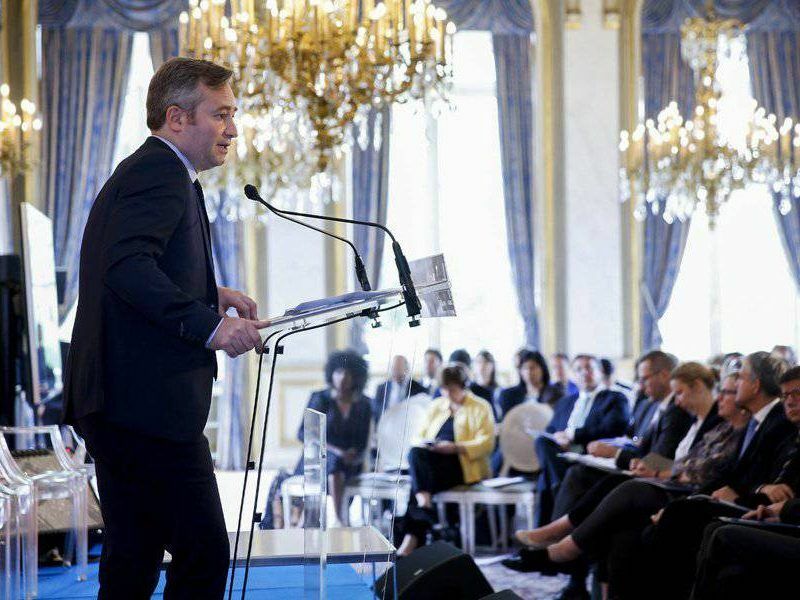 While armed conflicts are on the rise around the world, Paris launched a new strategy for prevention, resilience and sustainable peace in developing countries, on 13 June. EURACTIV.fr reports.